The advisor Pipsovar uses advanced price manipulations to locate the best market entries. The principal technique is to find a continuation bar that confirms its direction in different timeframes. The advisor employs a sophisticated algorithm to distinguish the market trend and trade in it, while avoiding trades during the market flat. Target levels are determined by the nearest High and Low peaks, which enhances the exit strategy. It is advised to pay more attention to money management using the property volume_per_trade, rather than optimizing technical parameters. dynamic_stops - engages determining target levels by price peaks. Target levels start from the minimal values set by the stoploss and takeprofit. It accepts 2 values: 0=disabled, 1=enabled. flat_bars - a number of bars to determine the market flat period, that is a period of insignificant market activity. my_color - a color for writing legends in the chart. stoploss - points, not pips. 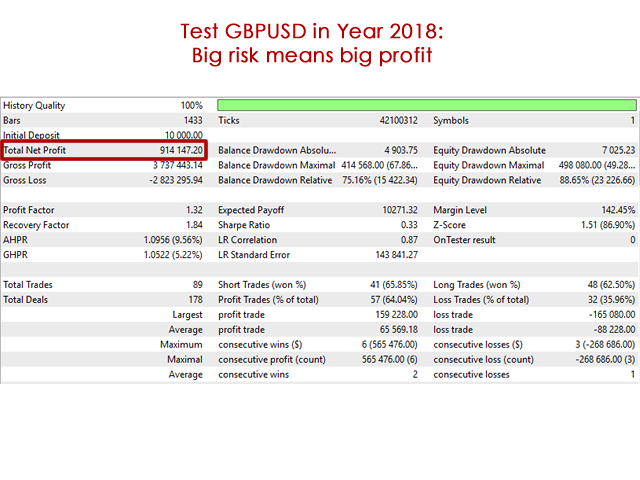 takeprofit - points, not pips. trail - points, not pips. The advisor Pipsovar is good to optimize in the Strategy Tester. 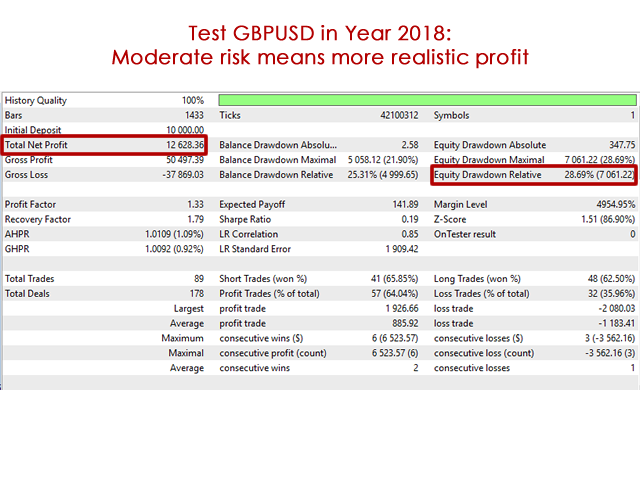 The default trading properties can be used for trading with GBPUSD. Your current chart timeframe does not impact the advisor decisions. The advisor outputs scarce information in the chart while it works, it does not require any user action and is meant just for that.